1-CD with 32-page booklet, 24 tracks. Playing time approx. 71 mns. 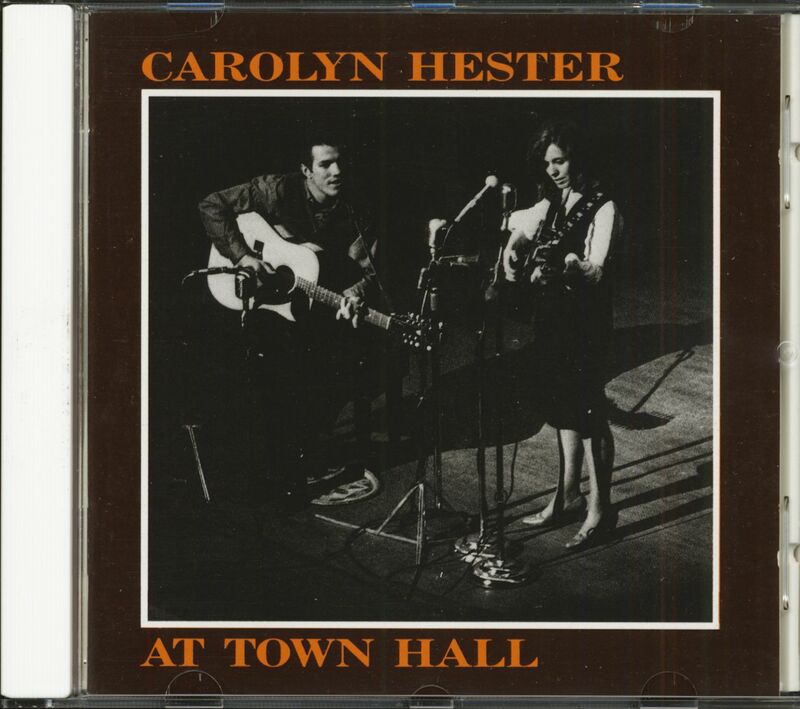 In February 1965, Norman Petty recorded Carolyn Hester in concert at New York City's Town Hall. 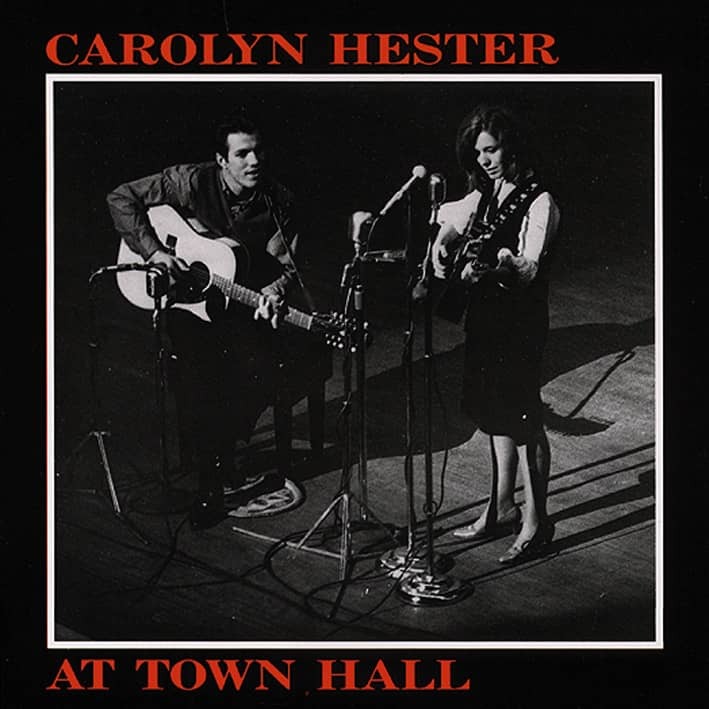 Hester's clear, keening voice, accompanied by George Tomsco's guitar, poured forth with the combination of wistfulness and idealism that characterized the era's folk movement. 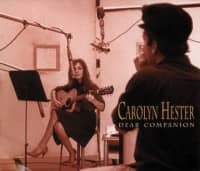 Equally at home with traditional songs and the work of the era's singer-songwriters (among them Tom Paxton and Phil Ochs), and unafraid of something as ambitious as her own musical setting of Whitman's Captain, My Captain, Hester conveys an intimate involvement with everything she sings. This 24-song CD is a wonderful document of a special concert by an overlooked treasure of the folk era. Titles include 2:10 Train, Captain My Captain, Water Is Wide, Outward Bound, Summertime, and Sidewalk City. 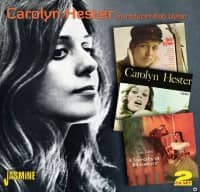 Carolyn Hester, with her rich, haunting, quavering soprano, was one of the true pioneers of the 1960s American folk music explosion. Inspired by the examples of folk music legends of earlier decades, like Pete Seeger and Woody Guthrie, Hester and contemporaries like Dylan, loan Baez, Tom Paxton, Phil Ochs, Judy Collins, and Odetta, forged a musical movement which, for a few shining years during America's most turbulent decade, took folk music to the very center of the American cultural mainstream and provided the soundtrack for a decade of dramatic social change. Yet, Carolyn Hester insists that it was always the music, the music above all else that ultimately drew her to the center of this movement. 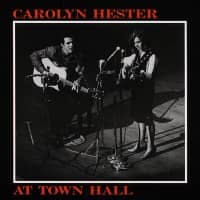 From the release of her 1958 debut album, a ‘pre-folk' or ‘folkabilly‘ exploration entitled Carolyn Hester: ‘Scarlet Ribbons,‘ right up until the early 1970s when she decided to take a lengthy hiatus from recording, Hester was a pivotal figure in the folk boom. During those years, she performed often at prestigious venues like the Newport Folk Festival and the Edinburgh Folk Festival. (She and first husband, singer Richard Farina, to whom she was married briefly during the early ‘60s, were especially popular performers ill England.) She also appeared on the popular ABCTV network musical show, ‘Hootenanny,' Whose success was central to the national folk boom. Hester holds other unusual distinctions, as well. 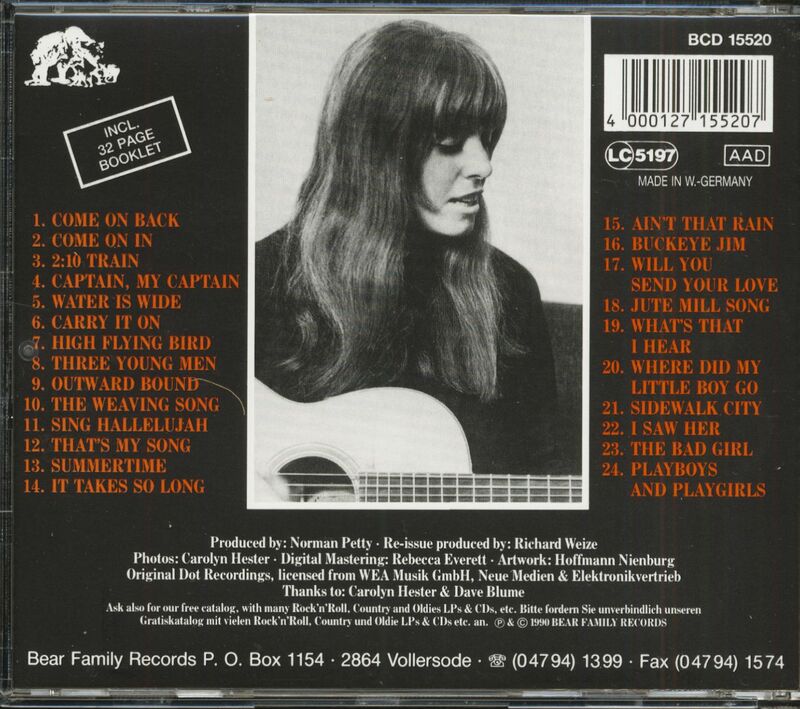 At one point early ill her career, folkie supermanager Albert Grossman (Bob Dylan, Peter, Paul & Maiy, etc.) seriously considered her for the trio that eventually became Peter, Paul & Mary. In the mid-1960s, when The Saturday Evening Post devoted a feature to the folk boom, it was Hester who became their cover girl. Hester also holds the distinction of being one of the few artists signed not once, but twice, to Columbia Records by legendary producer/ executive John Hammond. Customer evaluation for "At Town Hall"